The equipment side of the agricultural story is one that has been woven into the history of farms and ranches for generations. Kent Kirchhoff — vice president of sales and marketing as well as one of the owners of Plains Equipment Group — took some time to share some of that history and a snapshot into the future. As the years progressed, Plains Power grew with to its eastern trade area, Kirchhoff explained, in Osceola in 1996, Seward and David City in 1997, Crete in 1999 and Geneva in 2003. 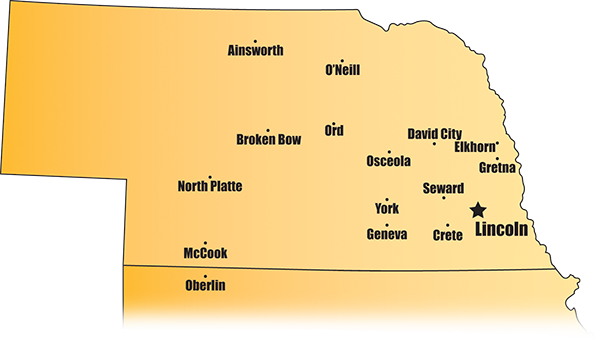 The western trade area added the North Platte location in 2008 and Broken Bow, Ainsworth, O’Neill and Ord in 2010.